On this year´s closing meeting of Senior Council of Pilsen region chairman Mr. Jochec appreciated lecture activities of our Society for Senior Council in the year 2018 and also congratulated our chairman Petr Kostner on his round jubilee as well as Mrs. Kaucka (MRS Domazlice) and Mr. Fleisman (KS Krimice) - see photos below. In September we realized another walk around Mikolas Ales´s sgraffiti in Pilsen for Totem-Doubravka. In October we have started a new course for Totem´s Academy of the Third Age: "Ramble to Neighbours with Leo" - we would want to zoom in neighbouring countries. And of course we lecture for our partners of Senior Council of Pilsen district, Trebon Spa, CCV Rozmital pod Tremsinem and others. Our members all summer gathered data for new travelogues (Poland, Switzerland, Finland). In June we completed course "Homeland Ramble with Leo" of Totem´s Academy of the Third Age successfully. Nowadays we prepare new course. In July we realized walk around Mikolas Ales´s sgraffiti in Pilsen for Totem-Nová Hospoda. We have started subsequent half-year term of Academy of the Third Age in Totem and furthermore we lecture for our well-established partners. And we prepare a new project about neorenaissance Pilsen. We have approached Intergeneration and Volunteer Centre TOTEM of Pilsen about lectures for its Academy of the Third Age class 2017-2018. Lectures named Homeland rambles with Lion are focused on interesting places of Czech Republic. We are still processing material collected on our journeys and we continue doing our lecture activities for member organizations of Senior Council of Pilsen district, Trebon Spa, Travelog museum in Ceske Budejovice and of course for our Rozmital fans. In August and September we worked on preparation and realization of journey to Portugal and Spain. Since the October we have started our lecture activities again. 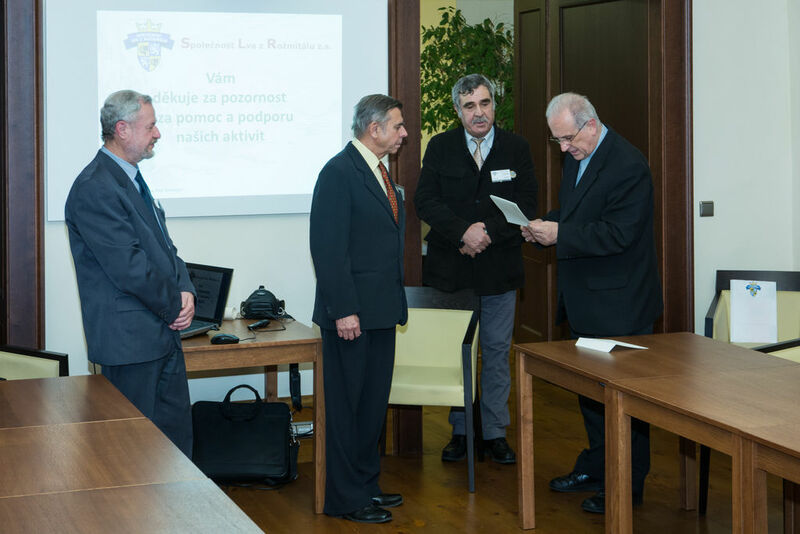 Within the scope of activities in the project "For glory of motherland up to end of world" – remembering of 550th anniversary of voyage of nobleman Jaroslav Leon of Rosmithal´s legation – Jan Smrha and Petr Stolcpart visited northern Portugal and Spanish Galicia. They followed a track of the legation from Spanish-Portuguese frontier as far as Santiago de Compostela and cape Finisterre. In co-operation with Centre of Modern Languages of University of Santiago our representatives prepared and lecture about Leon of Rosmithal´s voyage in his days context. 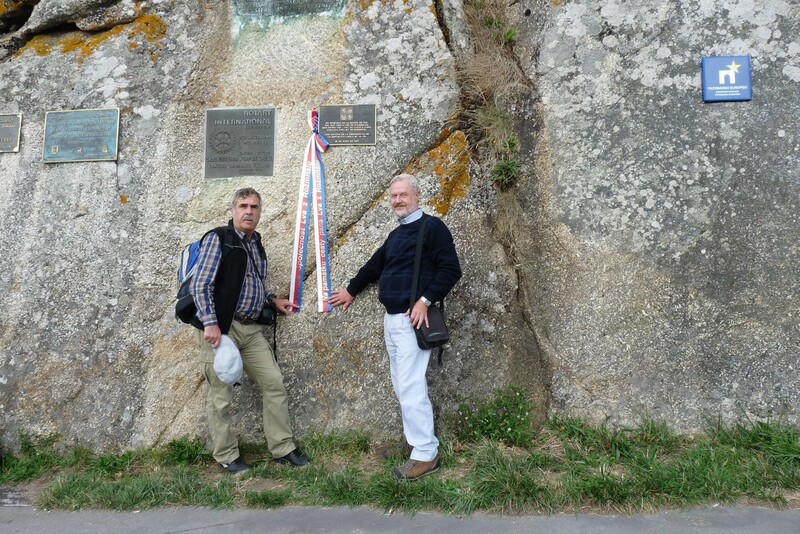 They also arranged memorial action at the Santiago´s gate of famous pilgrims and also by plaque on cape Finisterre. In addition to this prime mission our representatives collected plenty of material for new travelogs. We continue doing our lecture activities for member organizations of Senior Council of Pilsen district, Trebon Spa, Travelog museum in Ceske Budejovice, Senior Residence Terasy and of course for our Rozmital friends. Project "For glory of motherland up to end of world"
We work on arrangement of this project, in May we published book "Europe and George of Podebrady" in Czech-Spanish version (Czech-German version was published already in autumn 2015). 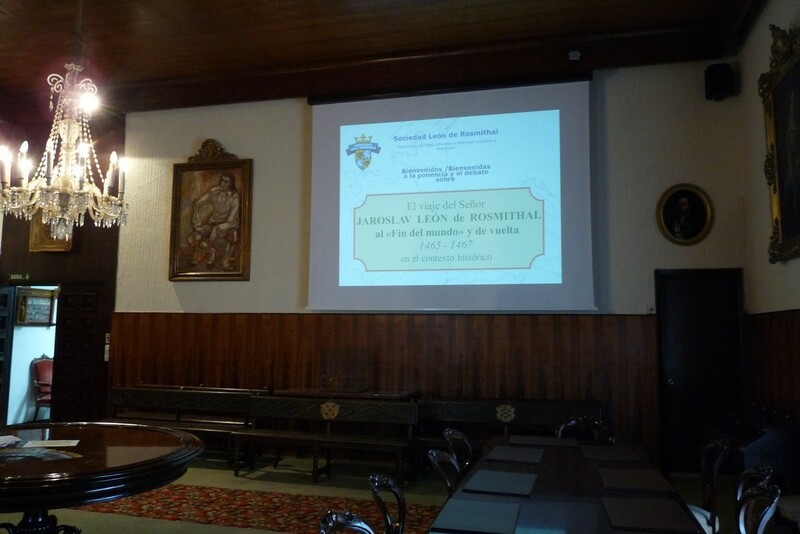 Besides regular travelogs for Trebon Spa another lecture serial has been started in CCV Rozmital. Furthermore planned travelogs was put through for member organizations of Senior Council of Pilsen district and as well for Travelog museum in Ceske Budejovice. Under the terms of project "For glory of motherland up to end of world" we gave lecture on Jaroslav Lev of Rozmital´s journey to West Europe in Study and Scientific Library in Pilsen. Petr Kostner represented our society on celebrations of the 5th anniversary of Markt Hohenfels-Strasice partnership in Markt Hohenfels. Mayors remembered our credit for its arrangement and assistance. Regular reciprocal visits not only village representative but also schoolchildren, fire brigades, footballers, breeders, tourists run reliably for 5 years. And partnership reinforces furthermore. Launch of project "For glory of motherland up to end of world"
Radkovsky and deputy city mayor for culture Mr. Baxa presented safe conducts for the project to our representatives. Jan Šmrha visited tourism fair ITEP 2015 and dealt with current and potential partners. Jan Smrha and Petr Stolcpart visited Centrum Bavaria - Bohemia in Schönsee and dealt with director Mr. Eibauer and his colleagues about prospective co-operation within cross-border activities. In addition to another travelogs for Trebon Spa our members realized lecture with rich discussion about "Lord Jaroslav Lev of Rozmital´s Journey to the End of World and back" during the 13th Day with CzechQueen in Rozmital . Members of our association realized series travelogs for Trebon Spa, member organizations of Senior Council of Pilsen district, Senior Residence Terasy and Rozmital friends - here we finished travelog serial traditionally by invitation to Luzicke Hory. Society of painter Vaclav Brozik from Tremosna gave interest in historical theme "Lord Jaroslav Lev of Rozmital´s Journey to the End of World and back". The January 2015 was in token of travelogues for our faithful audience - the second Sardinia in Rozmital, two travelogues in Trebon Spa, and also for new auditors - Senior Club in Pilsen-Krimice (Kladruby Monastery) and Senior Residence Terasy in Pilsen (National Parks of Norway). Travelogue Bali - pearl of Indonesia was realized in Vraz Spa in October. The first part of travelogue about Sardinia was spoken in CCV Rozmital in November, travelogue about Catalonia then in December . Jan Šmrha and Petr Štolcpart visited tourism fair ITEP 2014 for opportunities aimed for society´s activities. Jan Smrha presented lecture about European peaceful activities of Czech King George of Podebrady in Museum of B. Horak in Rokycany. During August and September Petr Kostner and Petr Stolcpart realized another doubletravelogs for Berta and Aurora Spa in Trebon. Petr Kostner added more updated travelog about Salzkammer. In mansion of Vraz Spa Petr Stolcpart told about Indonesian Java. The another sequel this time tolds about Antique (Berta Spa) and Present Greece (Aurora Spa). Our Society actively participated in The Day with Czech Queen Johanka in Rozmital - with lecture about European peaceful activities of Czech King George of Podebrady . We started travelog series for guests of Trebon Spa. First travelog about Indonesian island Bali was held in Berta Spa and then another aboutIndonesian Java in Aurora Spa . In mansion of Vraz Spa Petr Stolcpart told about Bali-pearl of Indonesia. Jan Smrha and Petr Stolcpart visited Luzicke Hory and gleaned there data for another travelogs. Full clubhouse of Senior association in České Budejovice watched our travelog about Australia, in Ceské Budejovice Daily was published complimentary article about it. Petr Štolcpart told about Tuscany in romantic interior Vraz Spa near Pisek. The spring series of travelogs in Rozmital we finished with invitation to Kralicky Sneznik region. Petr Kostner told about Austrian Salzkammergut in Rozmital. After the travelog Petr and full house continued in discussion about this wonderful region of Austria. By travelog about Kladruby Monastery started Petr Kostner spring series in Rozmital. Jan Smrha and Petr Stolcpart made and presented special lecture with theme Lord Jaroslav Lev of Rozmital´s Journey to the End of World and back with great success to ladies Lions Club Plzen Bohemia. By travelog about Pasau started Petr Kostner autumn set in Rozmital. Society representatives visited The Eighth Fund-raiser Concert of Pilsen Philharmonic for children´s healthy eyes project. Summer activities of society were concerned with arrangement of new projects and acquisition of materials for future lectures. Also we participate on ITEP 2013. The spring series of travelogs we finished with invitation to Cesky Raj. In B. Horak´s Museum of Rokycany Petr Stolcpart presented to large audience the another island of Indonesia – Java. Travelog „Granada and Alhambra“ started spring series in CCV Rozmital. The series will be finished in April by travelog inviting to Czech country tourism. Our society directorate visited Angel 2012 – acknowledgement of social workers organized by City of Pilsen. Petr Kostner was appreciated by Angel 2012 title for his long-time successful implementation of European seniors projects. The Brass band „Strašická pohodovka“ was in Markt Hohenfels. The band met local brass band and both made successful concert compered by Petr Kostner. Reciprocal concert will be hold in Strasice soon. Petr Kostner held slide-show about trip to Hungarian Eger for spa clients and in the name of our society prepared photocollection about Trebon and its spa for them, too. Like every year Petr Kostner organized and led fitness course in Podebrady. He also informal discussed the activities of our Society. The jubilee tenth The Day with Czech Queen Johanka was held in Rozmital. Petr Kostner was present ceremonial act, he said hello to our friends of Culture Centre and visited new opened Museum of fire fighting. The Queen Johanka was greeted by crowds of people, the programme continued till the evening. Within activities of our society Petr Kostner visited Konstantinovy Lázně (Constantin´s Spa). There was in opening day of spa season 2012 and also Springs ordination by Monsignore Radkovsky. We hope for reiteration our travelog series in this spa. Like every year Strasice expedition visited German-American festival in Hohenfels. Petr Kostner was also there, he moderated, organized and interpreted. Army-friends from Czech Republic met their German colleagues. Next meeting will be in Strasice at „Bahna“ army festival. In the last travelogue of serial 2011-2012 Petr Stolcpart invited audience in Rozmital CCV to walk into the country of Kokorin, land of Czech romantic poet K. H. Macha. The spring travelogue series was started by Petr Stolcpart´s presentation of Nature of the Middle Norway. Petr Kostner took advantage of Christmas visit in Podebrady for contact of the new mayor Dr. Langer. They discussed partnership between Podebrady and Rozmital, Petr Kostner offered our help for revitalizing of the partnership. Petr Kostner also visited Mr. Dasek, member of local Rotary Club, with offer of cooperation. The last travelogue of the year in CCV Rozmital about the South France - Côte d'Azur, Avignon, Carcassonne - was collective work of Petr Kostner and Petr Stolcpart. Tourism fair ITEP was different this year – it took place in Lokomotiva sports hall and our traditional partner Rozmital did not participate. In spite of it we presented - we took part in stand of our another partner village Strasice. Autumn part of travelogue serial in CCV Rozmital was started by lecture about bike trip through Alsace – region of troublous history, land of wine, good meal and quaint villages. In B. Horak´s Museum of Rokycany Petr Stolcpart presented to large audience the pearl of Indonesia – Bali island. In terms of partneship, arranged by our society, Strasice visited Markt Hohenfels. Pupils and teachers, volunteer firemen, citizens and authorities of Strasice participated traditional Hohenfels´Wandertag, visited open-door day in military area, they also read village incl. reconstructed townhall over. During gathering with coffee, cakes and music they settled new visit. Petr Kostner as ever interpreted, organized and along with mayor Graf was in at all of it. In the last travelogue of seriál 2010-2011 Petr Stolcpart invited audience in Rozmital CCV to walk into the country of Czech-Moravian Highlands, specific to Zdarske vrchy. General meeting passed in attendance of all members. To the Board were voted again Petr Kostner, Jan Smrha and Petr Stolcpart. The Board on the first meeting elected Petr Kostner its chairman and Jan Smrha and Petr Stolcpart its secretaries. The annual report and all other documents of general meeting are at disposal at members of the Board. Petr Kostner presented in the CCV Rozmital photos and experiences about his journey across four states – Austria, Lichtenstein, Germany and Switzerland. Spectators visited Lake of Constance, Bern, Zurich, Vaduz and also castles Hohenschwangau and Neuschwanstein. World-famous ski center Kitzbühel and ski world cup race were purpose of Petr Kostner´s visit. Hahnenkamm – famous and traditional downhill race this year attracted more than 10 thousands visitors. After processing the material a very interesting presentation shall be alive. On the occasion of the International day of Persons with Disabilities Czech Blind United held the concert of visually impaired soloists and Berg Orchestra in the Spanish Hall of the Prague Castle. Representatives of Society attended the concert and gave support to integration of persons with disabilities into the society. The 2nd Ball of Social Services took place in Pilsen. Pilsen Mayor and Chief of Social services appreciated volunteers and professionals of social services. Our Society chairmen and their accompanists attended the ball and could appreciate also dance performances and cater. Autumn part of travelogue serial in CCV Rozmital was started by lecture about the pearl of Indonesia – Bali island. We again presented our activities at tourism fair ITEP 2010 in stand of the Microregion Tremsin. At the fair we have made contacts with various organisations, towns and regions of West Bohemia for subsequent utilization. Members of the Board visited benefit concert granted to World Sight Day with Pilsen Philharmonic which was held by Lions Club Pilsen Bohemia. The take was given to the School of visually impaired. Our Society met the interest of the Public Library in Pelhrimov and Petr Kostner presented travelogue about his journey to Sweden and Denmark. Travelogue was very succesful, at the end 75 participants burst into applause and wanted author´s signature. The first concrete action of Strasice – Markt Hohenfels Partnership was informal visit of 50 Hohenfels´citizens in Strasice. Strasice made rich programme and we were in on the ground floor. Mr. Kostner interpreted and assisted with organizing. Like every year at the last weekend of June The Day with Czech Queen Johanka was held in Rozmital. Petr Kostner was present ceremonial act, when „subaltern alderman“ mayor of Rozmital Mr Vondrasek passed key of new opened Podbrdske Museum to Queen Johanka. After two years of arrangements the partnership agreement was established between Czech Strasice and German Markt Hohenfels. All this time our society co-operated with both villages. The original aim to meet citizens of Strasice with German village also neighbouring with military area expanded to partnership. By tradition the last spring travelogue in Rozmital is devoted to invitation for trip about Bohemia. This time Jan Smrha invited auditory to Orlické Mountains - travelling to their nature, sights and military history. Members of the Board visited benefit concert Vlídný tmavomodrý svět (Kind Dark Blue World) in Music House in Pilsen, which was held by Pilsen Academy of Music and Lions Club Pilsen Bohemia. Petr Štolcpart undertook journey to Indonesia, he traveled through Bali and Java islands. He made amount of photos and immediate knowledge for future travelogues. In Rozmital´s Education Centre was held premiere of Petr Stolcpart´s travelogues about antique and modern Greece, devoted both to the past and the present of the oldest cultural nation of Europe and to beauty of Greek nature. On 4th November Petr Kostner presented snaps from cognitive tour as travelogue entitled Norway – National Parks for Czech Red Cross of Podebrady. Slide lecture was very successful, about 25 participants discussed with author long-time. On 26th November Petr Kostner put on similar slide lecture in Rozmital within the frame of our travelogue serial and he was again very successful – there were few chairs in the hall! We again presented our activities at tourism fair ITEP (Pilsen October 2009) in stand of the Microregion Tremsin. At the fair we have made contacts with various organisations, towns and regions of West Bohemia for subsequent utilization. In the beginning of August Jan Smrha made journey to Southern Moravia. He visited areas of Lednice&Valtice and Velke Pavlovice and also Pavlovske Hills. From the journey he made any amount of photographic and film material, that will serve as enhancement of our society travelogues. Petr Kostner organized and led another overweight reduction course in Podebrady. He also took advantage of attendance of 28 interested person to promotion our society activities and presented travelog about his trip to Norway. Petr Kostner took part cognitive tour to Norway with travel agency Skandia-Czech Tour. During sightseeing tours of national parks Rondane and Kjenndalsbreen, open-air museums Maihaugen and Grenaa, several fiords and sailing from Oslo to Denmark Petr Kostner made many snaps for future travelogue and our society. Yearly festival „The Day with Czech Queen Johanka" in Rozmital was expanded by attendance of King George of Podebrady this time. Petr Kostner was present at ceremonial of partnership declaration of Rozmital and Podebrady. Our society sent vicemayor of Podebrady Mrs.Jirina Soukupova festival report and cooperation proposal. Society members attended benefit concert „Friendly dark-blue world“, held by West-Bohemian Gallery and Lions Club Pilsen on 2nd April 2009. Takings of this charitable action shall serve to purchase of interactive table for autistic class of the Teaching Hospital in Pilsen. One result of ITEP 2008 is travelog series for patients of Spa in Konstantinovy Lazne, for now planned up to June. Opening travelog „48 hours in Hong-Kong“ was presented by Jan Smrha and Petr Stolcpart. Petr Kostner showed the 2nd part of his film America 2007 in CCV Rozmital. This time he captured spectators with another states – North Carolina, Tennessee - and particularly with journey along Blue Ridge Parkway and visit of national park Great Smoky Mountains. Discussion extended long again. Petr Stolcpart with Jan Smrha´s assistance presented travelog about pilgrimage to Santiago de Compostela in the Borderland museum of Kdyne. The presentation took place on base of invitation of TIC Kdyne and was supported by AgAkcent association, that plans to building-up and maintain pilgrim routes in Czech Republic. Petr Kostner showed in CCV Rozmital the first part of his authorial film America 2007. Discussion about author´s stay in South Caroline, in towns Myrtle Beach and Charleston extended till closing time of CCV. Petr Kostner attended seminar Healthy ageing, organized by State health institute. Seminar took place in Pilsen, in attendance of organisations engaged in seniors problems. Discussed were information and experiences in field of healthy ageing support in Czech Republic and comparison with recently finished European project. Petr Kostner had possibility to contact interested persons and offer cooperation. Pictures from whistle-stop tour around Denmark and Sweden Petr Kostner supplemented with comment and discussion with listeners. Travelogues for Rozmital Centrum of lifelong learning (CCV) will further continue this year. In the late September and the early October Jan Smrha made journey to Greek island Crete. He visited capital Heraclion and antique archeological sites in Knossos, also he made trips in west part of the island. From the journey he made any amount of photographic and film material, that will serve as enhancement of our society travelogues. Within the stay in Trebon Spa Petr Kostner organized for approx. 15 copatients the film presentation about his visit of U.S.A. with big success. Since the tourism fair ITEP 2007 we have cooperated with Strasice, the village near Brdy Mountains. On request of Strasice representatives our society obtained contacts with Bavarian village Hohenfels and organized meeting Strasice - Hohenfels. 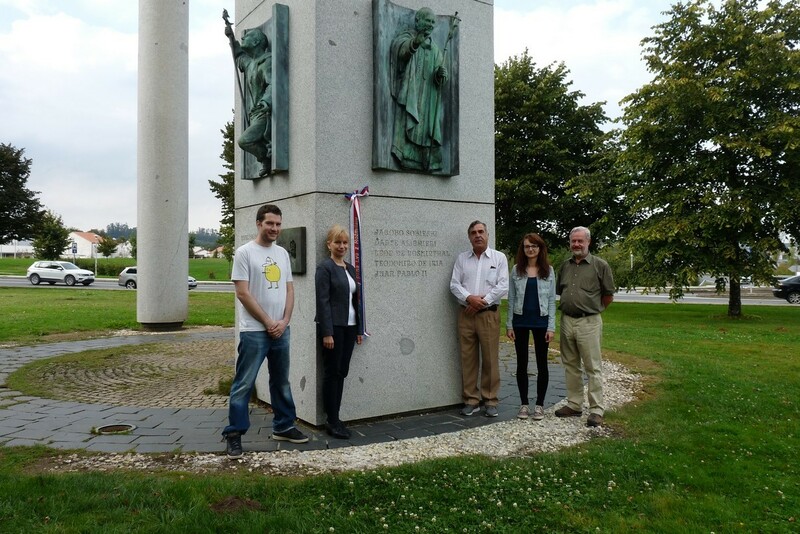 Its aim was to gain information about coexistence Hohenfels and US Army for citizens of Strasice and possible cooperation between the villages in the future. The meeting under moderating of Petr Kostner was very successful and representatives of village will meet again in the Autumn. In the 1st half of August Jan Smrha accomplished cognitive tour around Orlicke hory Mountains dividing Bohemia and Klodzko. He also visited system of fortresses built in the 1930s for defence of Czechoslovakia. Our collegue during the tour made many photos and videos which will be used in our travelog presentations and meetings. Petr Kostner organized and led another overweight reduction course in Podebrady. He also took advantage of attendance of 26 interested person to promotion our society activities. Jan Smrha´s film "Around Bohemian Forest by bike" and presentation acquainted spectators in CCV with known and less known beauties of this mountains and symbolically opened touristic season. Petr Kostner´s color slides and experience guided spectators in record number of 60 to tour around Sweden and Denmark. 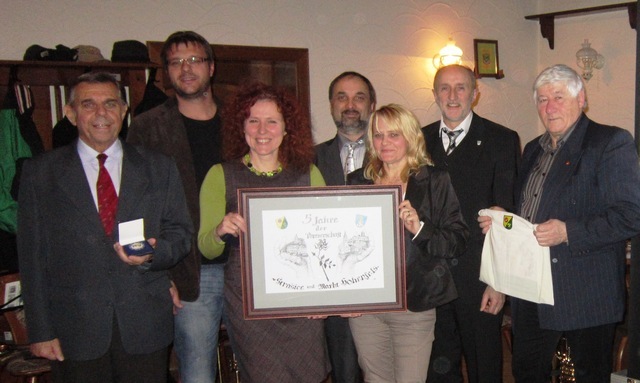 The travelogue for Czech Senior Union of Plzeň 4 took place in D-club in Doubravka. Jan Smrha and Petr Stolcpart in Strasice showed the second part of travelogue about Australian expedition. The traveller serial will continue in the autumn. The February travelogue in CCV offered Pictures of Elba, the island of beautiful nature and interesting history. Spectators saw Jan Smrha´s film, who also hold introduction and led discussion. Citizens of Strasice, village on the opposite side of Brdy than Rozmital, had occasion to see the first part of our presentation about Australian expedition. The travelogue had very succesful (it will continue in the March), among the spectators were also representatives of village. Presentation of Petr Kostner led Rozmital´s fans of travelling in CCV this time to our nearest neighbours - in High Tatra and its surroundings. The last travelogue before Christmas in CCV was dedicated to two of well-known places of pilgrimage - Lourdes and Santiago de Compostela. Besides historical and geographical characteristics, photos, speaker Petr Stolcpart acquainted acute listeners with his own experiences from these places. Petr Kostner presented the slideshow about experiences from Denmark and Sweden for Red Cross in Podebrady. Presentation met favourable response of approx. 30 spectators. Board of Red Cross expressed interest in another travelogues. Rozmital´s fans of travelling in CCV this time saw Jan Smrha´s film „Fragments from Corsica“, projection was followed up with lively discussion. The serie of traveler's presentations continued in CCV Rozmital with another part of our expedition to Australia: „48 hours in Hong-Kong“. Slideshow and short video were presented by Jan Smrha and Petr Stolcpart and watched by our regular spectators. We again presented our activities at tourism fair ITEP (Pilsen 4th – 6th October 2007) in the stand of towns Rozmital pod Tremsinem and Pribram. At the fair we have made contacts with various organisations, towns and regions of West Bohemia and also neighbouring Bavaria for subsequent utilization. We assess our participation at this fair as very successful. In the 2nd half of September Jan Smrha accomplished cognitive tour around Greek island Zakyntos well-known for its beautiful nature, romantic coast and rare turtles and seals. Our collegue during the tour made many photos and videos which will be used in our travelog presentations and meetings. Petr Kostner took part cognitive tour to Denmark and Sweden with group Podebrady Red Cross. During sightseeing tours of Copenhagen, touristic centre Gränna, Stockholm, Göteborg, Jönköping, Lund and Malmö Petr Kostner made many snaps both for Podebrady Red Cross and for our society. Around the turn of July and August Jan Smrha traveled Ceský Les Mountains. His object was to acquire photographic and film material, that will serve as another extension for spectrum of our society travelogues. Petr Kostner organized and led another overweight reduction course in Podebrady. There was beautiful "tropical" weather, high spirits and after exercise a while was to talk about our society activities. Petr Kostner visited another festival „The Day with Czech Queen and Knights of Rozmital“ in Rozmital pod Tremsinem. Range of festival was greater then the last year, all day many attractions and performances were to be seen for many visitors in spite of the bad weather. Petr Kostner visited the U.S.A., he spent almost month in South Carolina and visited many places (Myrtle Beach, Charleston, Great Smoky Mountains). He promoted our society, gained many pieces of knowledge and made large amount of video material. This all will be used for society activities. Representatives of Rozmital CCV and seniors visited, as we had arranged, senior centre Maria Seltmann Haus in Weiden, Germany. The object was to exchange knowledge and experience. The visit was moderated and interpreted by Petr Kostner. The serie of traveler's presentations continued in CCV with film and presentation called „Sumava Mountains Rambles“ presented by Jan Smrha with assistence of Petr Stolcpart. The serie is interrupted now – it will continue in Autumn 2007. The serie of traveler's presentations continued in CCV with film and presentation called „Stop in Singapore“ presented by Jan Smrha and Petr Stolcpart. The serie is now coming home – in April we will talk about Sumava Mountains. The Board summons General meeting of Society on 17th April 2007. Members will receive all documents in time. The serie of traveler's presentations continued in CCV Rozmital with the second part of „Australia - from tropics to south sea“. As we could see the serie has already its regular spectators. In the March we plan presentation about Singapore. Chairman of the board Petr Kostner informed Mrs. Kalcikova, Deputy for tourism of Pilsen region, about project „From Bohemia to the End of the world“. Mrs. Kalcikova was captivated by project, but this year she cannot promote it – we are going to meet again in future. In cooperation with CCV Rozmital we arranged in Rozmital another presentation called „Australia - from tropics to south sea - part 1“ presented by Jan Smrha and Petr Stolcpart on 18th January. The presentation met again with great interest of listeners. In the February we will continue with the second part of the Australian serial. Petr Kostner arranged for Retirement House of Rozmital presentation „Bulgaria 40 years ago and today" on 23rd January. 22 of pensioners nostalgically recalled tours to The Golden Sands and The Suncoast. 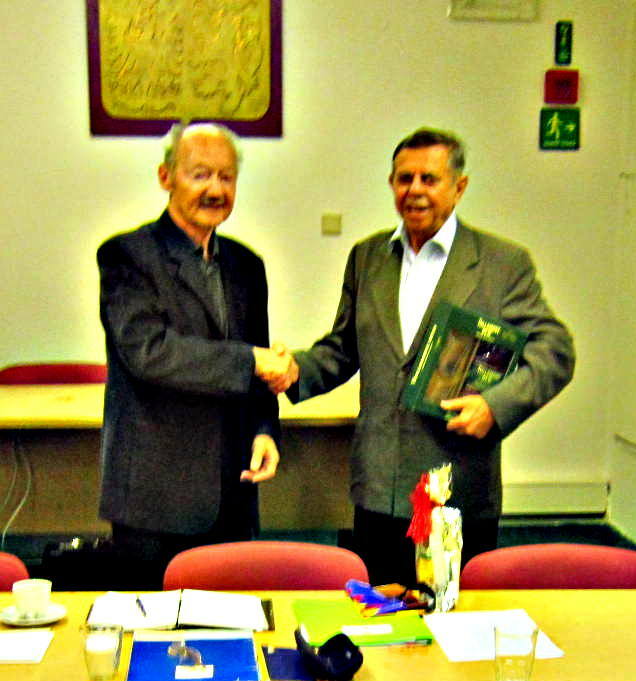 Managing board of Society was admitted by Mr. Vondrasek, mayor of Rozmital. Vicemayor Mr. Marousek and Mrs. Krepelkova, Culture Club, were also presented at the meeting. Participation of Rozmital on project „From Bohemia to the End of the world“ was main topic. Representatives of Rozmital expressed continuing interest in the project and promised to prepare detail proposals of Rozmital´s participation. Petr Stolcpart arranged presentation „Pilgrimage to Santiago de Compostela and to the End of the World“ also in Rimov for local Tourist Club and another interested persons. In cooperation with CCV Rozmital we arranged in Rozmital presentation „Pilgrimage to Santiago de Compostela and to the End of the World“ presented by Petr Stolcpart with assistance of Jan Smrha. The hall of CCV was nearly filled and the presentation met with great interest of listeners. In the next year we will continue in presentations – we plan a serial about Australia. We presented our activities at tourism fair ITEP (Pilsen 12th – 14th October 2006) in the stand of towns Rozmital pod Tremsinem and Pribram. At the fair we have made contacts with various organisations, towns and regions of West Bohemia and neighbouring Bavaria, too. With some of them we plan meetings in the near future. We assess our participation at this fair as very successful. The first answer for our letters offering participation was sent by Mr. José Manuel Traba Fernández, mayor of Spanish town Fisterra. In the name of his town he expressed interest in active participation in our project „From Bohemia to the End of the world“. We are glad to utilize his proposal. Member of the Board Jan Smrha accomplished cognitive tour around island Elba, well-known as place of the first exile of Emperor Napoleon 1st. Our collegue during the tour made many photos and videos which will be used in our travelog presentations and meetings. 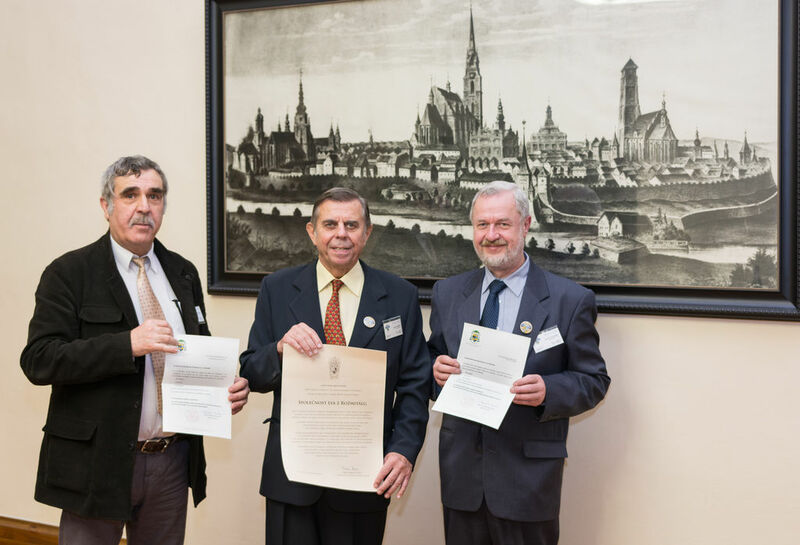 Within the arrangement of the project „From Bohemia to the End of the world“ were sent informative letters for mayors of Spanish towns Fisterra and Santiago de Compostela. The complete board of our Society visited Mr. Josef Vondrasek, mayor of Rozmital pod Tremsinem. Also Mrs. Krepelkova and Mrs. Kabatnikova from Rozmital´s Culture Club was joined in the meeting. The Society proposed its activities in cooperation with Rozmital, the mayor gladly accepted it and expressed support for cooperation. Mr. Vondrasek was especially interested in idea of journey to „the end of world“ (cape Finisterre in Spain) as reminiscence of end of diplomatic mission of Lord Leo of Rozmital (in the 2007 is 540th anniversary of this event) – we will inform mayor about preparation of this project and mayor consider participation and promotion of this one. We also visited the Culture Club. Chairman of our Society Petr Kostner on the base of received invitation visited festival „Day with Queen Johanka and brother Palecek“ in Rozmital pod Tremsinem. Petr Kostner met Rozmital´s mayor Mr. Vondrasek and workers of Culture Club and informed them about our Society and its aims, they agreed to continue in contacts. Petr Kostner also met another representatives and interesting persons and prepared several contacts for the near future. Member of the Board Petr Stolcpart made voyage of exploration to Spanish Galicia with objective to discover local circumstances. The exploration will serve for preparation of project „From Bohemia to the End of the world“, that we plan in the year 2007 as reminiscence of end of diplomatic mission of Lord Leo of Rozmital (in the 2007 is 540th anniversary of this event). Petr Stolcpart will prepare materials for study and propagation. The Leo of Rozmital Society is group of person with joint idea, that friendly meetings and mutual recognizing of culture, history and tradition ourself and other nations is a right way for friendship, cooperation and for enhancement of joint Europe ideas.